The specification and use of light gauge steel trusses has seen dramatic growth in the construction market. 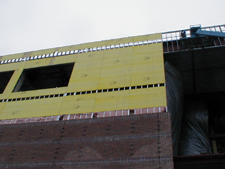 Ever tightening building fire codes, especially for educational, long-term care, and hospital facilities is driving the demand for this growing economical roof structure framing solution. Superior Truss & Panel can be the answer to your roof framing needs including our industry leading one hour, one layer of drywall UL® fire rated assemblies. We design, engineer, pre-fabricate, deliver and install (optional) light gauge steel trusses, mansards and canopies, with clear spans up to 100 feet. Many state and local building codes are rapidly changing to non-combustible structures for commercial and multiple family residential facilities. If your project requires a non-combustible floor truss or if you are able to eliminate sprinklers within the floor truss, Superior Truss & Panel can be of assistance. Superior Truss & Panel will design your building projects using Light Gauge Steel Components as the building structure. 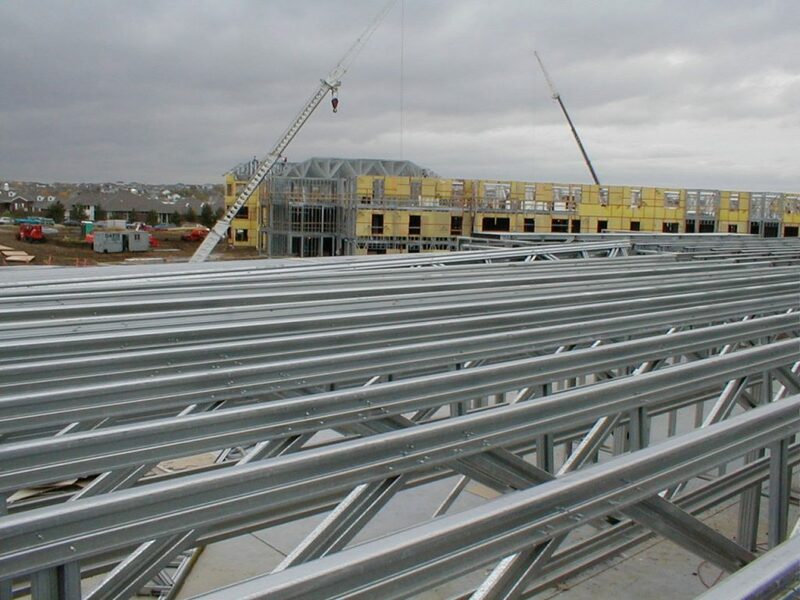 When Light Gauge Steel Components are incorporated in your building structure, we are able to provide you with an extremely cost-effective means of constructing buildings up to 6 stories in height. All the components used for the building structure are designed to your specifications and stamped by a Structural Engineer licensed in the State in which the project is erected. Our Design/Build System provides you with one source for the design, engineering, fabrication, and installation of the Light Gauge Steel Components. Superior Truss & Panel designs, engineers, prefabricates, delivers and installs light gauge steel ‘C’ stud load & non-load bearing walls for the commercial and residential markets. These panels are made to your specifications and can include door/window headers, gypsum / plywood sheathing, EIFS, siding, wood bucks, insulation inside headers, lengths to 50′, heights to 12′ 6″, and delivered to your job site. Your savings are from field labor costs, improved quality of wall construction workmanship and shortened job site framing time. We prepare all detailed wall panel layouts and can include structural engineering stamps for size, gauge, layout, connections and details. Corrugated metal decking and/or plywood attached directly to light gauge steel trusses. Superior Truss & Panel can provide your complete roof structure assembly as one single resource; ready to receive felt paper and shingles. We can provide structural engineered stamp drawings including eave, ridge & valley structural support and roof deck shear transfer for your roof decking to comply with building code or job requirements. Many Building codes and municipalities are now requiring the use of non-combustible floor systems. 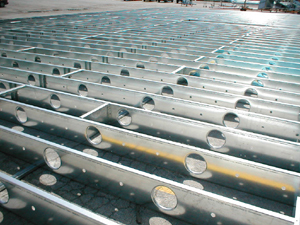 Aegis Metal Framing has an innovative floor joist called TradeReady. This Joist is similar to a Standard Cee stud floor joist except it holes in the joists every 4′ for MEP trades to run there systems through the maximum opening in a 14″ deep joist is a 10″ round hole. Superior Truss & Panel, Inc. can build floor panels in lengths of 60′ and widths of 12′ with metal decking or plywood sheathing already attached to the panel at our shop. We can also ship the material loose to the jobsite. The floor system, whether panelized or shipped loosed comes fully engineered. With the ever increasing cost of field labor and the associated insurances, why not try and reduce those costs and use tilt up prefabricated curtain wall panels. We can build panels up to 50′ tall and 12′ wide with special hooks on top of the panels to facilitate picking them up with a crane. All door and window openings come already framed out with the exterior sheathing applied, we can also apply EIFS or thing brick to the panels. For the general contractor or owner developer, why not cut your exterior wall enclosure time by half?